My favourite DIY box to date! I went ahead and tried this project out from Brand E BIY right away and had so much fun and looooved the end result! Be sure to look at my second photo on Instagram to see how well it turned out! It’s a BIY box which means Build it Yourself! I love little projects like this. And I’m happy with all the tools and instructions as well. I have lots of the paint leftover for future projects now which is handy, and the hammer, scissors and paint brush can be used over and over again, they aren’t even cheap quality! 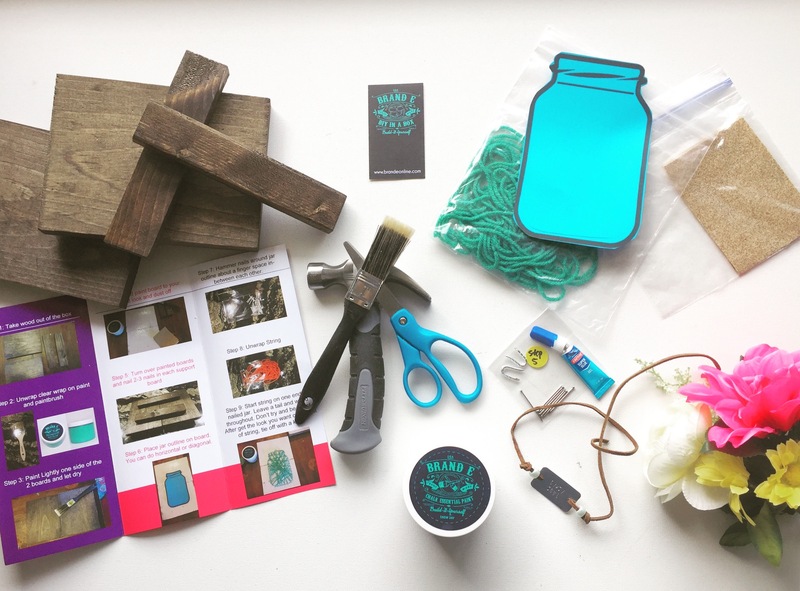 From a chalk paint and painting class company to a subscription box to create your own! Love the concept! I’m a big fan of Pinterest so this is what it reminds me of. It’s just frustrating having to go out and find all the tools, bits and pieces for a project so the fact that everything is ready to go in this box makes me happy and one I would definitely turn to in the future. I checked out what projects the worked on in the past in class and loved all the fun end results so anticipate that the BIY box will be similar!